The Origins of Lactase Persistence in Europe – Yuval Itan, Adam Powell, Mark A. Beaumont, Joachim Burger, Mark G. Thomas, PLoS Comput Biol 5(8): e1000491. 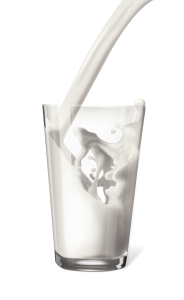 Most adults worldwide do not produce the enzyme lactase and so are unable to digest the milk sugar lactose. However, most people in Europe and many from other populations continue to produce lactase throughout their life (lactase persistence). In Europe, a single genetic variant, is strongly associated with lactase persistence and appears to have been favoured by natural selection in the last 10,000 years. Since adult consumption of fresh milk was only possible after the domestication of animals, it is likely that lactase persistence coevolved with the cultural practice of dairying, although it is not known when lactase persistence first arose in Europe or what factors drove its rapid spread. To address these questions, the authors developed a simulation model of the spread of lactase persistence, dairying, and farmers in Europe, and have integrated genetic and archaeological data using newly developed statistical approaches. They infer that lactase persistence/dairying coevolution began around 7,500 years ago between the central Balkans and central Europe. They also find that lactase persistence was not more favoured in northern latitudes through an increased requirement for dietary vitamin D.